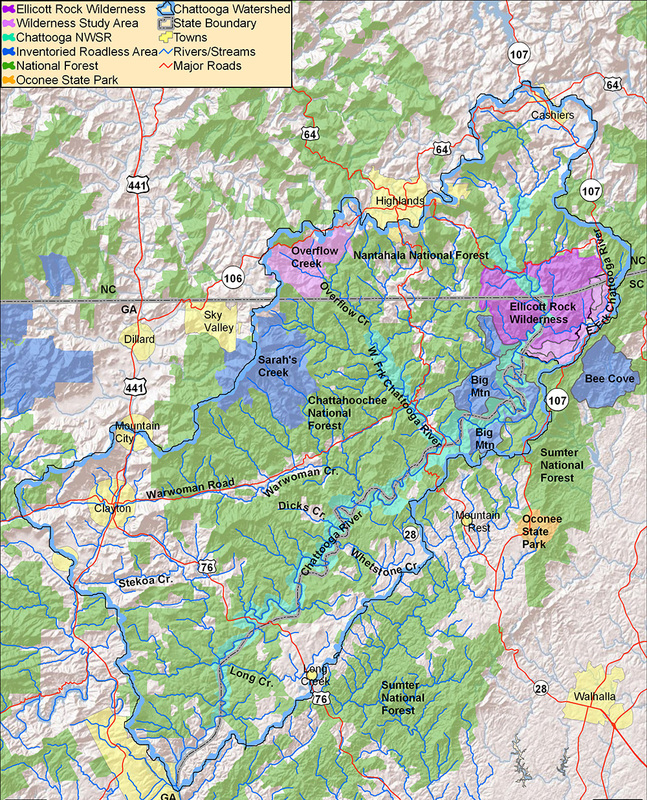 The Chattooga Conservation Plan was produced in 1996 and was a collaborative project of the Chattooga River Watershed Coalition (known now as Chattooga Conservancy), The Conservation Fund, and the Southern Appalachian Forest Coalition. Using the best available information, the Chattooga Conservation Plan presents a common-sense approach to preserving, restoring and maintaining the native forest ecosystem in the Chattooga River watershed. Although the conservation plan was produced over 20 years ago, it utilizes bedrock principles of conservation biology and landscape ecology that remain very relevant today – even more so than 20+ years ago – given the greatly increased pressures on our native forest ecosystem.